This version was my first rough. I was trying to capture that Mignola look and make it more like the Wolves of Saint August. I heard a rumor that Mike Mignola has a problem when other people imitates his style. Maybe that's why they didn't go for my version. 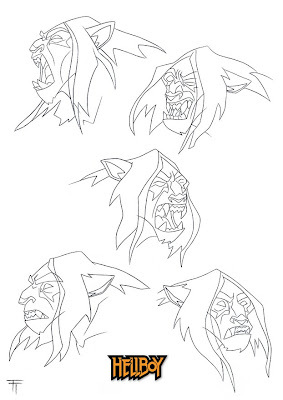 Werewolf design for Hellboy: Sword of Storms. 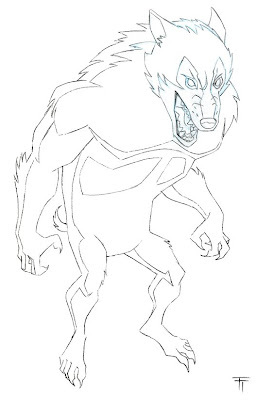 I've never seen a werewolf with long hair, it kind of reminds me of Shaggy from Scooby Doo. I actually cleaned this one up, Tad Stones penciled it.